What would be a fuel consuption difference between 26 and 31 HP tractor? How much would Kubota 3130 type of compact tractor take? Are these info's available anywhere. Parah; Art likely can tell you pretty close from experience. Likely this info is on the Kubota website too, but seat of the pants experience from Art would be best. Frank. 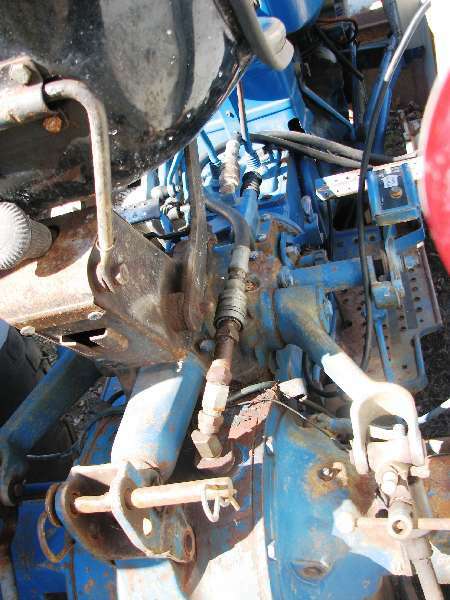 My experience is that a 22-24 horse diesel burns about 1/2 gallon(2 quarts)of fuel per hour. If HP and fuel consumption are on the same curve, I would estimate that a 31 horse engine would use about 30 percent more or roughly 2.6 quarts per hour. It really does depend on the job! I think for most work you guys are about right but if you went out and ran a mower for the day you'd find you could get thru about a five gallon can after four or five hours. For most applications I think a five gallon pail is about right for a good weekend day of work. So to keep the tractor full and an extra five gallon can should be fine most of the time. it sounds like a day on my ATV, 5 gallons. Now, I have an idea..